Earlier this month, I gave a talk at ElixirDaze in Denver, CO. The talk focused on the experience of building your own web framework in Elixir. In the span of 30 minutes, we were able to build a web framework in Elixir complete with a router, controllers, and templates. We took a look at how Plug has already done most of the work for us and at how we can leverage such a powerful abstraction to extend what it gives us. We even looked at how to make our templates render blazingly fast by compiling them into functions. 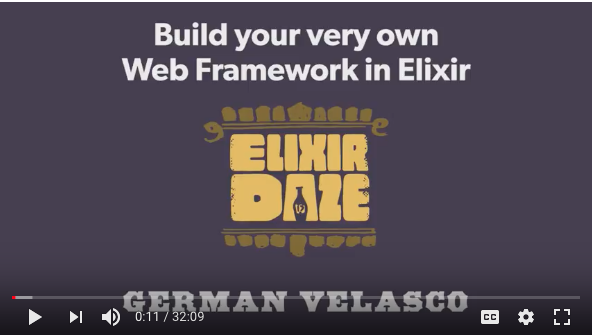 So if you’re interested in seeing how easy it is to build your own web framework in Elixir, take a look at the video. You can find the code in github and the slides in speakerdeck.